How do you name for a town: ' peace ' (Mir in Belarusian)? 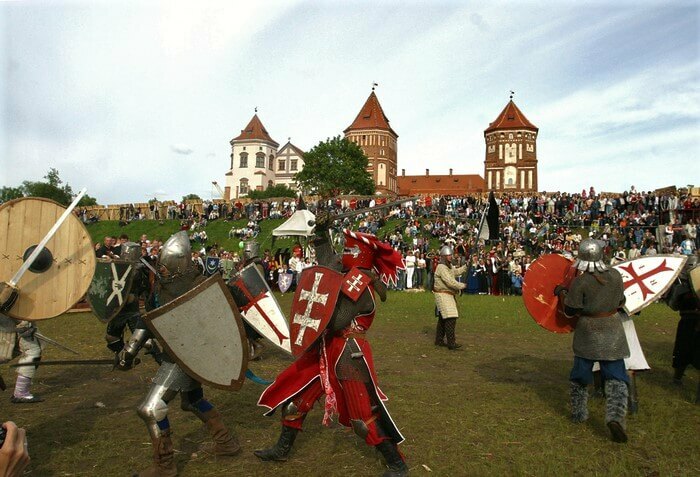 It is the city, where the famous Mir castle, one of the spectacular sights of Belarus is situated. This monument of Gothic architecture is inscribed on UNESCO's World Heritage list. But, there is more than just a castle in this town. 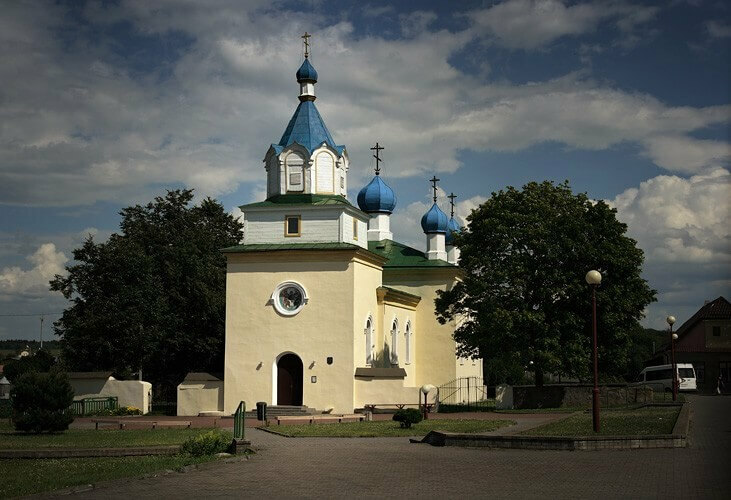 In this article, we will cover what is worth visiting in Mir, Belarus. It is still unknown, why the name of the town is Mir ("peace"). One of the versions is that it was derived from the word "emir", which meant the commander of the Tatars, who had a residence here for some time. Another version is connected to the word 'mir' ('peace') itself. It may be connected to the fact that some unknown peace treaty was signed here. The complex consists of the residence-fortress, a picturesque Park in the English style, the Italian garden, a pond, a chapel-tomb and roadside chapels. Shaping the architecture of the Mir castle occurred under the influence of three styles: Gothic, Renaissance and Rococo. The first mention of the Castle have been recorded from the year 1395, according to these data, it is considered that a large part of the castle had been built. Up to the year 1568 owners were the Ilyiniches, then — the Radziwill (before 1828), Vitgenshtejny (to 1891). The last owners of the Castle were svyatopolk-Mirsky Worldly (until 1939), after which the castle became property of the State. From that time until the present day, this place had to much to survive, ranging from reorganizations, takeovers, and ending with reconstruction. Interesting fact: during the great patriotic war, Jewish ghettos were situated in Mir, Belarus. 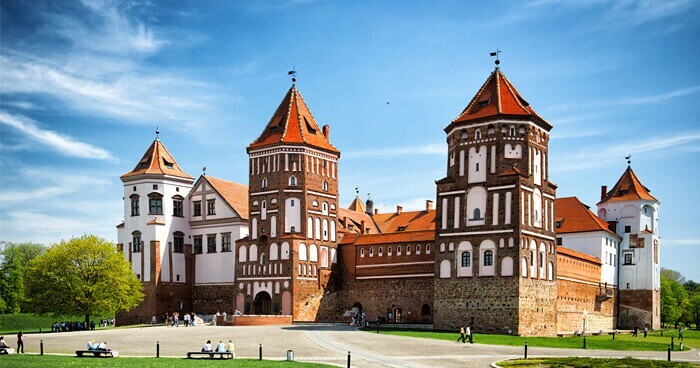 For those who would like to discover the local culture, it is possible to organize high-level events in the Mir castle (in 2 Conference Rooms). There is also a mini hotel with 15 rooms (price from 100 $ per "comfort" room), also in the dungeons of the castle there is a restaurant, a tower bar and a souvenir shop. In the summer, you can see different tournaments with the reconstruction of military events, concerts, theatre performances of world stars in Mir. In addition, live music evenings, festivals and days crafts and culture. Go back to the town of Mir, because this place is not only the Castle alone. It has other sights that are worth visiting. 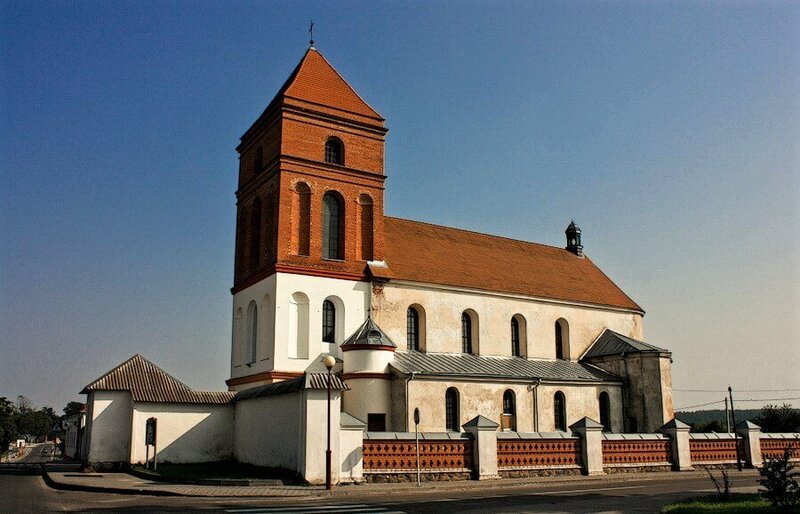 Not far from the tourist Mecca is the Church of St. Nicholas built in 16th century in Renaissance style. It was the first stone church in Mir. A little further on the Church of the Holy Trinity. It was built about 50 years earlier then the St. Nicolas Church, but in the 19th century was burned down and later on reconstructed in a new style. 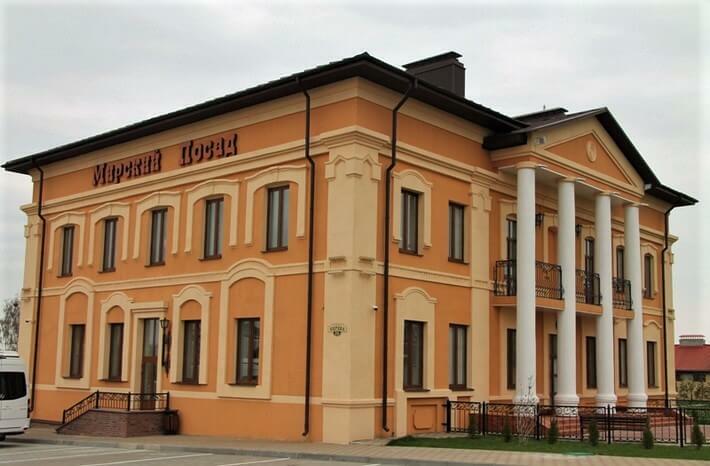 On one of the Mir central squares you will find the private Museum of the history of the town called "Mir Posad". Follow the M1 motorway in the direction of Brest, after Columns will be a pointer to the town Mir (from the road to the town it is about 15 minutes). The total distance from Minsk to Mir is about 100 km. It was our short guide about the town of Mir. Although it is a small town of only about 2000 people, it has some other sights that you may be interested in. Have a great trip to Mir, Belarus!